Thanks to my children’s wonderful Spanish teacher (getting them excited about learning another language), our kids were thrilled when we found these books at the library this weekend. On the car ride home, I heard Spanish the entire way as they tried to read all of the words. I need to add these to our home library! 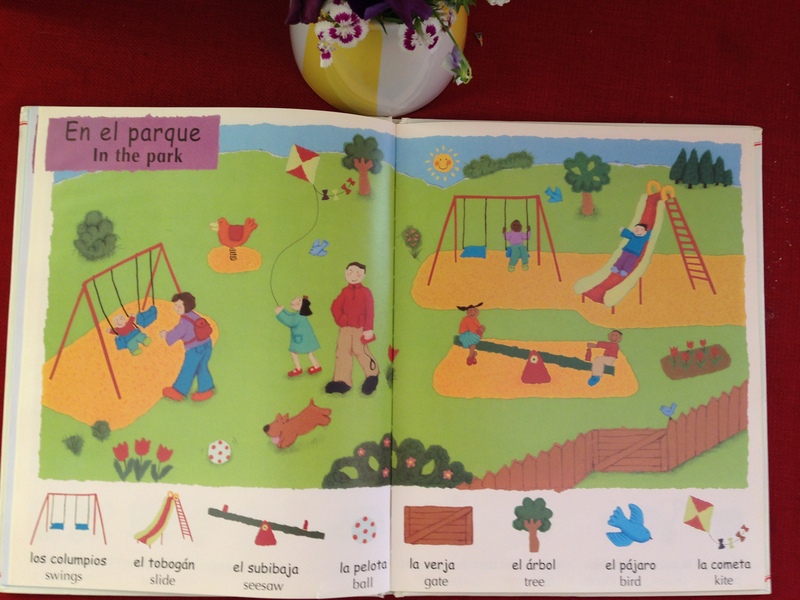 The first level book, My First 100 Words in Spanish is organized into categories with a main picture and the words related to it in English and Spanish under the picture. For example, “My family” is the first page with an illustration of a family birthday party and under it, “la abuela/ grandma, el abuelo/ grandpa, la hermana/sister, el hermano/brother and other members are listed. I like the organization, simplicity and clarity of this guide. 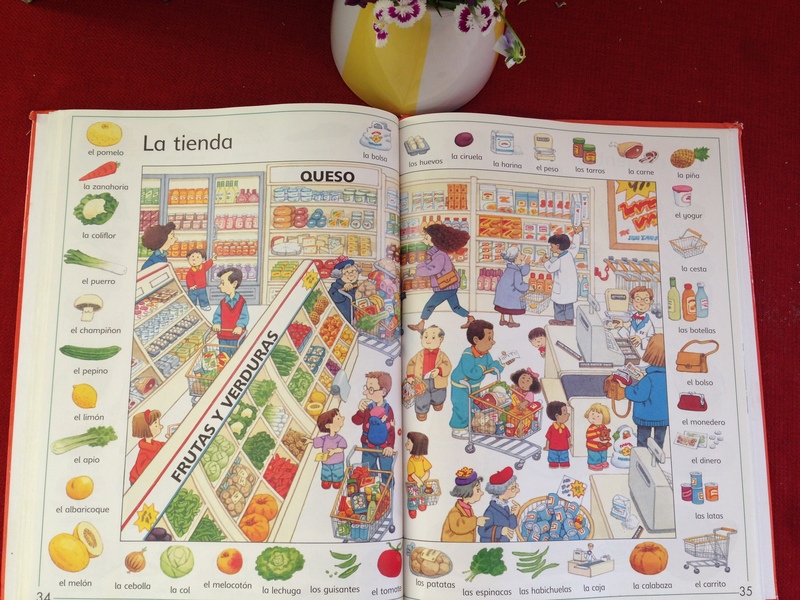 The next level, First Thousand Words in Spanish is organized into categories too with only the Spanish label under the picture. The great part about this book is that there’s an internet-linked pronunciation guide to help readers! You never outgrow these books until you master all the words; then you can share it with another child or even adult trying to learn Spanish! *Your attendance will help Daniel and April Smith as our family will be donating $10/guest directly to the Smith family as they recover from their loss due to the recent Arkansas tornado. 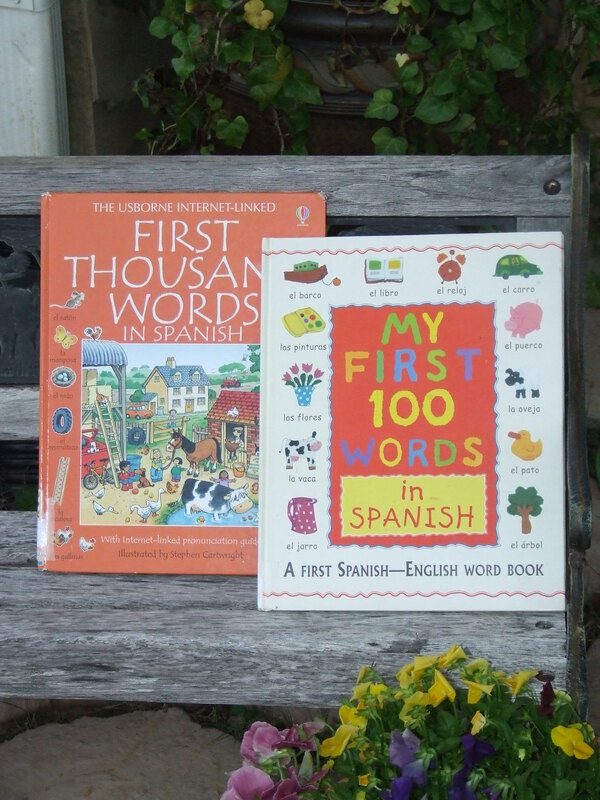 This entry was posted in Usborne Books and tagged First Thousand Words in Spanish, Heather Amery, My First 100 Words in Spanish, Spanish-English Word Book, Stephen Cartwright, Usborne Books, Usborne party. Bookmark the permalink.